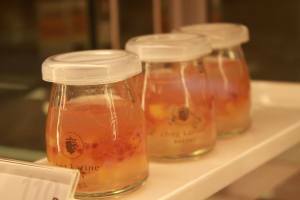 Chez Karine has been one of my favorite places for macarons and pudding which is owned by pastry chef Karen Yang-Chiang. 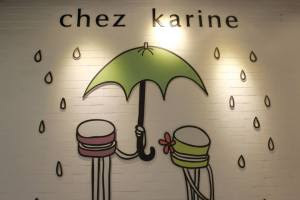 Chez Karine which translates to “at Karen’s place” has been famous for its macarons. 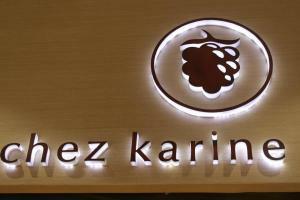 Chez Karine first branch is in Serendra and they just opened a branch in SM Megamall Fashion Hall which is definitely a welcome addition to SM Megamall’s roster of good eats. 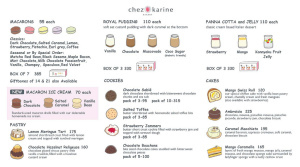 Chez Karine Bakery Menu: Hot & Cold Coffee, Hot & Iced Tea, Smoothie | Macarons, Royal Pudding, Panna Cotta, Cookies, Entremets, Tarts & Pastry, Honey Toast. 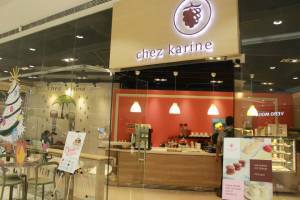 Chez karine macarons are well-infused with flavors and have a chewier bite unlike the usual, crunchy meringue of other macarons offered in Manila. My favorite of all the flavors they have is the black macaron (cookies & cream) and an Iced Black Coffee which is a perfect match for that. 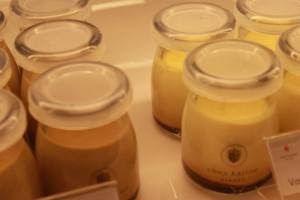 A lot of foodies are raving about the Royal Pudding, mostly because of the cute bottles that you can reuse at home. BPI: Credit-to-Cash, Get cash from your card for anything, anytime. Get cash from your card for anything, anytime, with Credit-to-Cash. monthly installments up to 36 months with a low add-on rate of 0.99%. Avail NOW. Call 89-100 or visit any BPI branch near you. Crediting of proceeds to a BPI/BFB account will be 6pm the next banking day. Crediting of proceeds may take longer in cases wherein additional verification is required on SIP Loan transaction and/or account details provided. 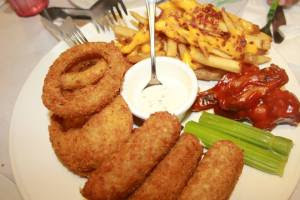 Proceeds via Manager's Check (MC) shall be ready in three (3) banking days. Simply visit any BPI or BPI Family Savings Bank branch nearest you. Apply hassle-free in over 800 branches nationwide. ELIGIBILITY - A credit cardholder (the “Cardholder”) of Bank of the Philippine Islands (the “Bank”) for at least six (6) months and of good standing is qualified to avail of BPI Special Installment Plan (S.I.P.) 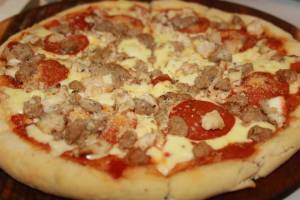 Loan (the “Loan”) for a minimum loan amount of PHP3,000. The Loan is available to a Cardholder of: BPI Blue MasterCard, BPI Gold MasterCard, Petron-BPI MasterCard, BPI-WorldPerks MasterCard, BPI-Skymiles MasterCard, BPI-Skymiles Platinum MasterCard, BPI-Edge MasterCard, BPI Amore Visa, and BPI Visa Platinum (the “Card”). APPROVAL - The Loan shall be subject to appropriate approval. The Bank may perform additional verification for Cardholder’s security. The Bank reserves the right to terminate processing of the Loan application and / or deny the same in the event that the Cardholder fails to submit documentary requirements or it becomes aware of any misrepresentation or any circumstances which will disqualify the Cardholder from availing of the Loan. BALANCE CONVERSION - Only new retail and online transactions worth at least P5,000 per transaction billed in the latest Statement of Account can be converted to installment. Interest, installment, cash advance and transactions that form part of the revolving balance are not eligible. Application must be submitted at least five (5) days prior to the due date indicated in the latest Statement of Account. SUPPORTING DOCUMENTS – For applications that require submission of supporting documents, date reflected in said documents should not be more than three (3) months prior to date of application. METHOD OF PAYMENT - The Loan amount granted shall be paid in equal and successive monthly installments, as indicated in the Bank’s SIP Loan Charge Form, which shall commence on the Cardholder's next billing date until the Loan is fully paid. 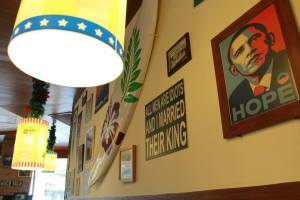 That the Bank shall have the right to suspend, cancel or refuse to renew the Card. That the Card's outstanding balance including the Loan balance plus interest, penalties, fees and charges (the "Total Outstanding Balance" or "TOB") shall immediately become due and payable, without notice or demand. That failure to pay shall constitute an automatic default. CARD RENEWAL - If for any reason, the Cardholder fails to renew the Card or the Card is not renewed by the Bank, the Cardholder's TOB shall immediately become due and demandable. APPOINTMENT OF THE BANK AS ATTORNEY-IN-FACT - Upon the occurrence of an event of default or any breach of the terms and conditions hereof, the Bank is appointed and shall act as attorney-in-fact with full power and authority to do all acts and deeds in addition to and other than those as herein granted. Cardholder hereby ratifies and confirms all acts and deeds as may be done or performed by the Bank under this authority. PROCESSING FEE - Loan availment via Straight charge will be subject to a 4% processing fee. DISCREPANCY - If the account number provided for crediting of proceeds is invalid or with name discrepancy, the Loan application will not be processed. LOAN RESTRICTION - A single installment Loan transaction requires only one approval. Splitting into smaller Loan transaction sizes and requiring multiple Loan transaction approvals will not be allowed. CREDIT LIMIT - If total Loan amount applied is more than the available credit limit, application will be processed and approved based on the available credit limit. PRE-TERMINATION BY CARDHOLDER - If Cardholder decides to pre-terminate his Loan application prior to the first billing, the Bank will charge a pre-termination fee of PHP 550 plus additional 2% interest on the Loan principal amount. If pre-termination is done after the first billing, monthly payment shall be applied to the applicable interest then to the Loan principal using the diminishing balance method plus a pre-termination fee of PHP 550. OTHER TERMS AND CONDITIONS - The terms and conditions governing the issuance of the Card as indicated in the card application form and BPI website including CONSENT TO PROCESSING AND DISCLOSURE OF INFORMATION, and the reminders and other provisions contained in the card carrier, statement of account, charge slips and other Card documents or instruments, which are made an integral part hereof by reference, shall likewise be resorted to in instances where they are applicable. For any concerns, you may contact Bank of the Philippine Islands at (02) 89-100 for Metro Manila; 1-800-188-89100 for domestic toll-free calls (available to PLDT subscribers); 63 + 2 + 89-10000 for mobile phone and international access; and International Toll-Free Numbers (refer to www.bpiexpressonline.com at Contact Us link for details) or email expressonline@bpi.com.ph. Bank of the Philippine Islands is supervised by the Bangko Sentral ng Pilipinas with telephone number (02) 708-7087 and email address: consumeraffairs@bsp.gov.ph. What is the Best Smart Unli Call and Text Promo? 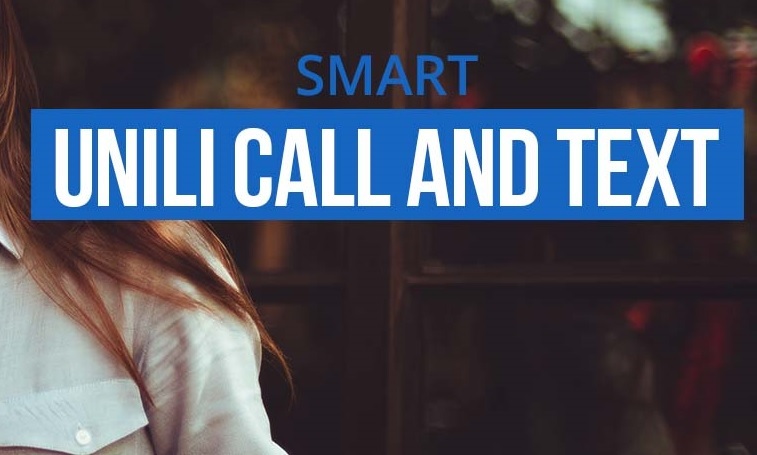 Smart offers unli call, text, combo and data or mobile internet promos to their Smart prepaid subscribers. Enjoy calling and texting your family, loved ones, and friends anytime. Wait for the confirmation text message first before making calls, sending text messages or turning your data access. This is to prevent deduction of you Smart load credits/balance. To register, text UNLITEXTPLUS15 to 9999. The cheapest of the Smart load options, Unli Text Plus 15 is great for when you need to make multiple quick calls or text blasts throughout the day. You even get 50 All Net texts for your non Smart or Talk N Text friends. There’s no data allocation for this promo, so you won’t be able to browse, go on Facebook, or use messaging apps, but for the unlimited texts and 10 minutes worth of calls for two days, this is still pretty much a steal. When you need to be out the whole day and need to constantly touch base with family, colleagues, or friends, this promo is definitely for you. Text messaging is unlimited to all networks so you can blast messages to everyone. Calls are limited to trinet but the ability to call anyone with a Smart, Talk N Text, and Sun for lengthy periods throughout the whole day makes communication a whole lot easier. You only get around 70MB for the day, but that should be enough to get in a few messages through FB messenger, Viber, or other messaging apps. Going out on a weekend trip? The Unli Call and Text 50 is definitely one to consider. With unlimited texts to all networks and unlimited trinet calls for three whole days, keeping in contact with your travel buddies or updating your parents, partners, or spouse should be no problem. At 50MB for the weekend, you might not be able to post any of your amazing vacation photos on Facebook or Instagram, so you might want to hold off on posting until you get back home. On the plus side, you get to live in the moment instead of living on a screen for an entire weekend. Whether you’re taking a long holiday or you’ll be doing fieldwork for the week, you’re going to want to make sure that you can fire a message or make quick calls at any moment. So you won’t have to worry about getting your hands on load throughout the week, try the Unli Call and Text 100. For four days, you get unlimited calls and texts to Smart and Talk N Text subscribers and 80 All Net texts in case you need to contact people from other networks. There’s only 30MB allocated in this promo so you’re not going to want to use messaging apps as your main method of contact for this one. While the most expensive of the bunch, this promo is the most practical for daily use. At only 350 pesos, you get 30 days of unlimited texting to all networks and unlimited calls to Smart, Sun, and Talk N Text subscribers. Although the Unli Call and Text 350 does offer the most data, 500MB isn’t much especially spaced out over the course of 30 days. Stick to light Internet use on this promo and wait for a WiFi connection if you need to stream or download. 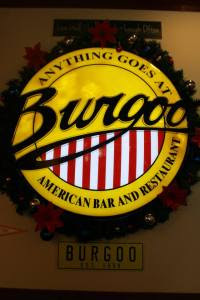 I never thought that SM Megamall will become a Food Mecca. SM Megamall Atrium and the new SM Megamall Fashion Hall opens with new Restaurants where you can have food choices more than you can think of. 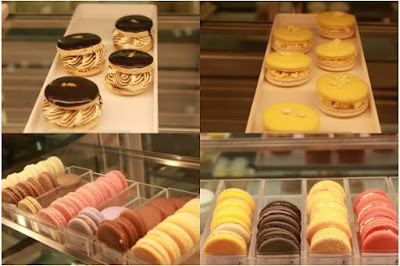 Last Friday before going to work, I decided to buy something sweet to eat while walking my way to our office. I love Silvanas that’s why I decided to try Marisa’s Silvanas & Sans Rival. 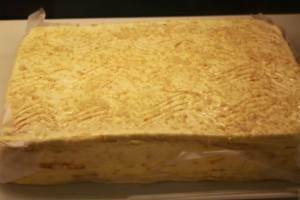 For those who doesn’t know what a Silvana is, a Silvana is a Filipino dessert. 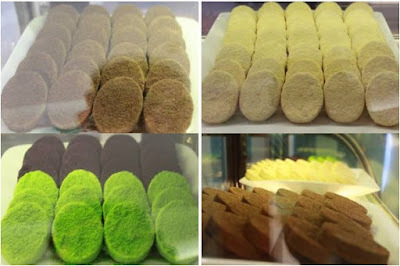 It is a frozen cookie made from a layer of buttercream sandwiched between two cashew-meringue wafers coated with cookie crumbs. 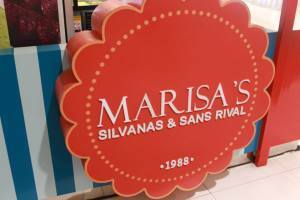 Silvana is the cookie version of the Sans rival, a Filipino cake made up of similar ingredients. I decided to try their Silvanas since I onkly have P100 extra in my pocket just enough to try their four different flavours (Original, Chocolate, Ube and Pandan). Surprisingly, the pandan is my ultimate fave! 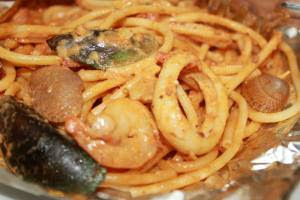 A definite must-try! The others are good, too, though. 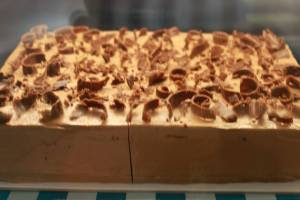 The price is very reasonable, P20 per piece for this heavenly dessert. 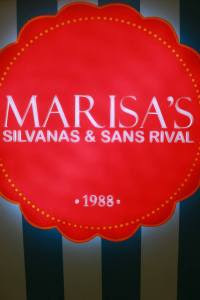 I have yet to try their Sans Rival that comes in two flavours (Original and Chocolate).